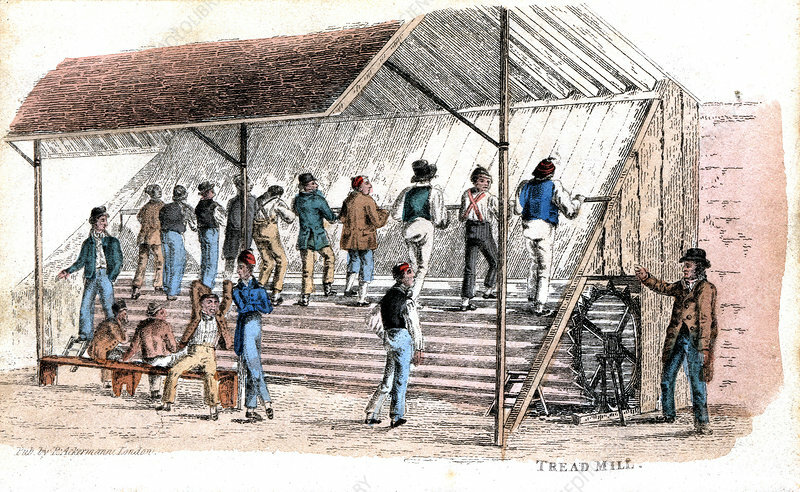 Treadmill at Brixton prison, London, 1827. Introduced for prison discipline by William Cubitt of Ipswich. Print published by Ackermann, London, 1827. Hand-coloured engraving. Artist: Rudolph Ackermann.